With Halloween behind us and Cyber Monday four weeks away, the holiday shopping season is officially here. This year, 56% of shoppers are expected to buy online and spend $800 on average. That’s a lot of purchases! And every gift purchased means reentering your personal details over and over again as you complete the buying process. That’s why it’s essential to have LastPass ready to help you, so you can make this year’s shopping easier. Form Fill simplifies online shopping by instantly filling in those repetitive shipping, billing, registration, and payment details for you. It also means you're not restricted to the major e-commerce sites that already have your credit card details saved. The best deals are often found outside the major Internet retailers! Add a Form Fill Profile. 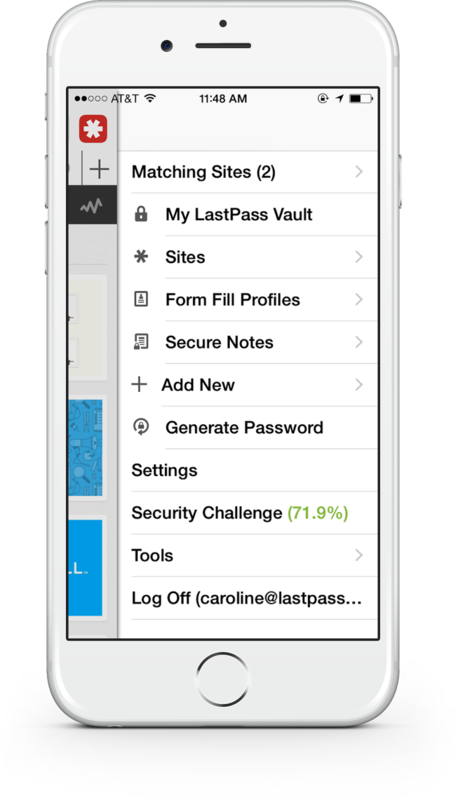 You can add a Form Fill profile at any time from the LastPass Icon’s Form Fills menu, or from the LastPass vault under the “Actions” menu. Complete the profile with your first and last name, email address, shipping address, credit card, and more. Use the “Name” field to clearly label each profile, so you’ll know which one you need at a glance. If you have more than one credit card or debit card, or more than one shipping or billing address, simply create a profile for each so you can mix and match as you shop online. Use a Form Fill Profile. 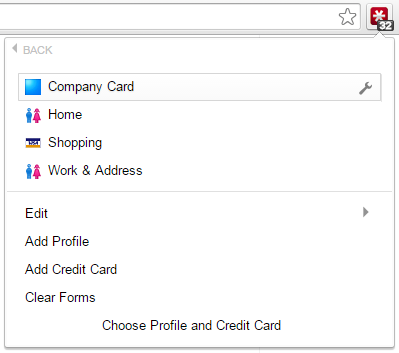 Once you’ve created your Form Fill profiles, you’ll be able to use them on any form. When you’re checking out, for example, you’ll see a profile icon in one of the fields on the page. Clicking the profile icon opens a menu listing your stored profiles, and you simply click the profile you want to use for that form. 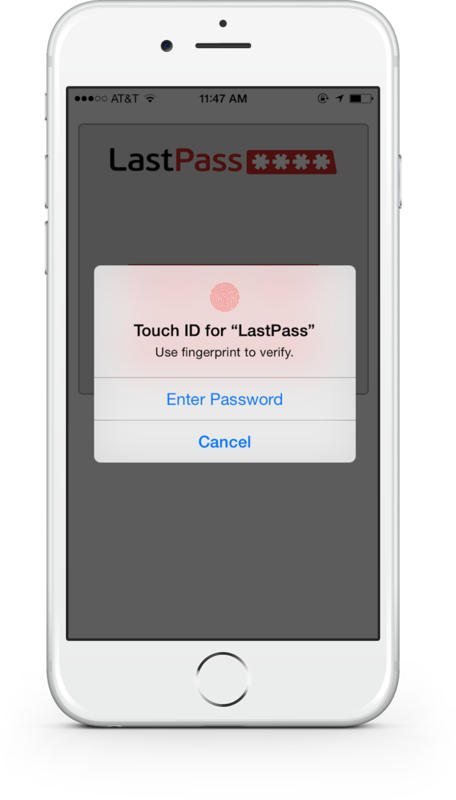 LastPass instantly fills in all the details for you! 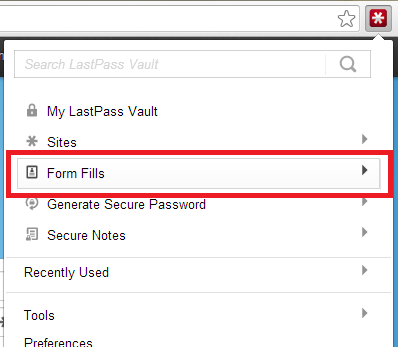 If the Form Fill icon doesn't appear in the field, you can also fill at any time from the LastPass icon Fill Forms menu and select your profile of choice. The Easiest Way to Shop. 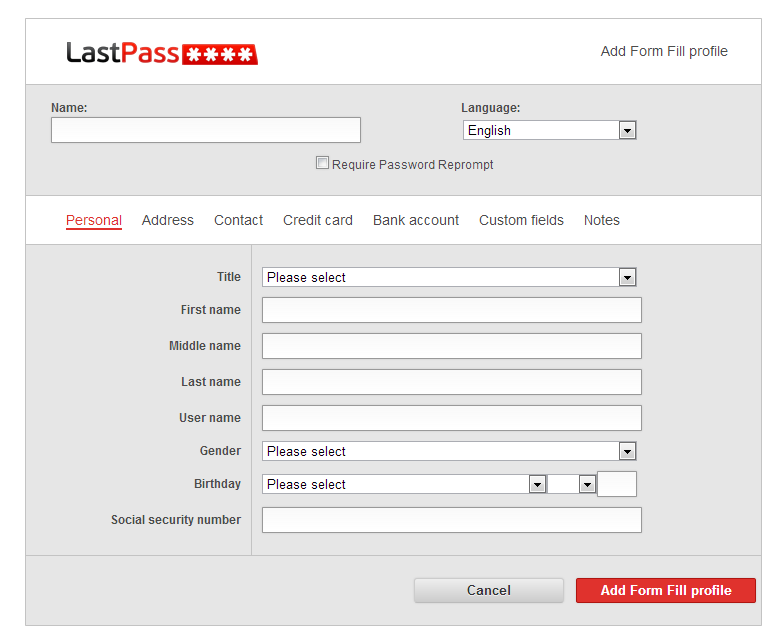 LastPass Form Fill is a life-saver as you shop online this holiday season. Using Form Fill means less typing, less reaching for your wallet, less hassle as you make your purchases. 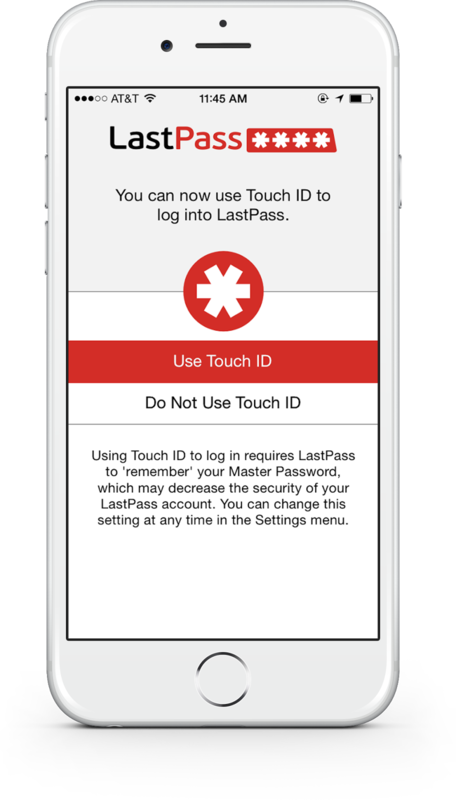 It also means LastPass is there to help you create and store any new online accounts. Add a profile today and set yourself up for a more enjoyable online shopping experience this holiday season!